CANBERRA – Inter-Korean relations are in the lime-light again. On June 15, Koreans in the North and South were meant to celebrate another anniversary of their first historic summit, which took place in Pyongyang thirteen years ago. Nevertheless, the late South Korean President Kim Dae-Jung and North Korean leader Kim Jong-Il would have been very sad to see how their successors continue destroying the legacy of the Joint North-South Korean Declaration. After the recent exchange of threats and muscle-flexing, the demise of the Kaesong Industrial Complex (KIC) came as a symbolic end of a once-blooming inter-Korean reconciliation. What is particularly disturbing is that this happens just months after newly-elected South Korean President Park Geun-Hye had pledged to implement a new North Korea policy. Based on the two principles of ‘Trustpolitik’ and ‘Alignment’, Park’s strategy was supposed to be more pragmatic than Kim Dae-Jung’s ‘Sunshine Policy’ but less ideologically-driven than Lee Myung-Bak’s ‘Vision 3000’. 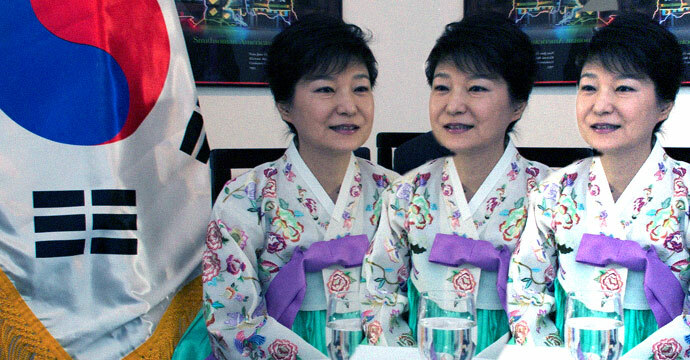 Disappointingly, Park’s strategy for the normalization of inter-Korean relations was flawed from the outset. She emphasized the promotion of cooperation in security, which is impossible in the context of the continuing Korean War. She also insisted that the trust building process would be linked to the progress in resolving the nuclear issue and, finally, Park outwardly declared that her goal was to encourage North Korea to become a “normal state”. Such a program certainly has no appeal for Pyongyang to be cooperative in its realization. The last five years have shown that neither in Seoul nor in Pyongyang is there any appetite for cooperation. The zones of economic cooperation are now dead and buried; they were too expensive for South Korean entrepreneurs and too damaging for the North Korean regime. Politically, North and South Korea continue to demonstrate disdain to each other. In April Seoul was “demanding” that Pyongyang negotiate the resumption of KIC operations by setting an ultimatum. In response, the North cut a military hot line connecting the two militaries on both sides of the DMZ. In reciprocation, Seoul has recently brushed off a North Korean offer to resume the Six-Party Talks. Zero-sum game on the Korean peninsula is continuing. Whatever North Korea proposes is blocked by the South and vice versa. Pyongyang policy makers know all too well that the Blue House in Seoul will refuse their offers, regardless of how sensible or tempting they might sound. Similarly, the conservative Saenuri Party does not want to look weak or manipulated by Pyongyang’s initiatives and will always find a reason to decline the offer. Interestingly, however, mistrust between politicians sometimes creates some rare windows of opportunity, which could lead to a major breakthrough in inter-Korean relations. 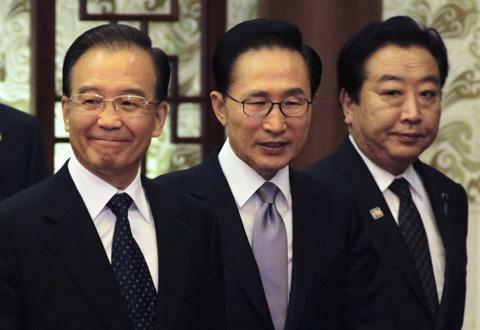 No sooner did South Korean Foreign Minister Yun Byung-Se call upon North Korea to make some steps to resume economic cooperation in Kaesong then Pyongyang proposed the return of South Korean managers to the ill-fated Industrial Complex. The South has all reason to fear the abduction or usage of its citizens for propaganda campaign, but this visit could be helpful in minimizing financial losses through the conservation of the abandoned facilities until times are better. This informal meeting could also be used as a second track dialogue opportunity to improve the atmosphere for government-level negotiations. Will South Korea use this occasion to break the vicious circle of mistrust with North Korea? The moment of truth is coming for President Park’s ‘Trustpolitik’. 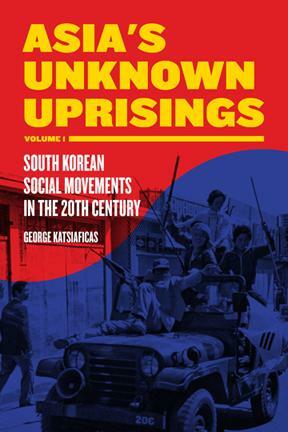 The Volume 1 of “Asia’s Unknown Uprisings: South Korean Social Movements in the 20th Century” by George Katsiaficas has been published by PM Press in Oalkland, CA. America and Europe, a very important task.” — Immanuel Wallerstein, Yale University. Find Asia’s Unknown Uprisings: South Korean Social Movements in the 20th Century at Amazon, and possibly save by using Amazon coupons from FrugalDad.com. (Mark Willacy, ABC Radio Australia) South Korea’s spy agency has arrested a man allegedly sent by North Korea to assassinate an anti-Pyongyang activist with a poison-tipped needle. 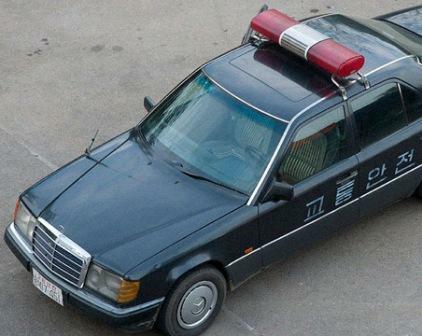 The alleged North Korean agent has been identified only as a man in his 40s known as An. An is a former special forces commando who supposedly defected to the South more than a decade ago. 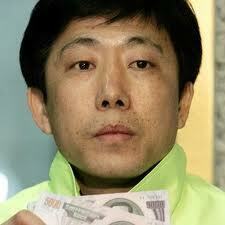 But recently he asked to meet outspoken anti-Pyongyang activist and defector Park Sang-Hak. After a tip-off from South Korean intelligence agents, Mr Park said he did not show up for the meeting, which was supposed to be held at a subway station in southern Seoul on September 3. Instead An was arrested at the rendezvous point, allegedly carrying a poison-tipped needle and other weapons that investigators believe he was going to use to kill Mr Park. South Korea’s intelligence agency says it will not comment on cases under investigation. Mr Park is a former North Korean defector who along with other activists sends thousands of anti-Pyongyang leaflets across the border, sparking angry protests from North Korea. It has threatened to fire across the border at launch sites for the towering gas balloons that carry the leaflet bundles. Recent leaflets have urged North Koreans to rise up “like Libyan rebels” and topple the regime. North Korea has a history of trying to silence critics in the South. In January a court jailed a North Korean spy for 10 years for plotting to assassinate the highest-ranking defector ever to flee to the South. The court said the would-be assassin intended to murder Hwang Jang-Yop on orders from Pyongyang, after entering the South posing as a defector. Mr Hwang died of natural causes at his closely guarded Seoul home last October aged 87. In July last year, two other North Korean spies were sentenced to 10 years in prison for plotting to murder Mr Hwang. In 1997 Lee Han-Young, a nephew of Sung Hye-Rim – the deceased first wife of North Korean leader Kim Jong-il – was shot dead outside his apartment in South Korea. Mr Lee, who had lived in the South for 15 years, was murdered after breaking his long silence about Kim’s private life. 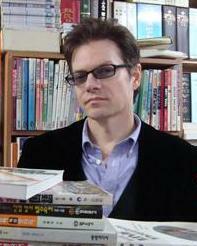 Brian Myers: Korea’s most dangerous writer? By Andrew Salmon (SEOUL, Aug. 10 Yonhap) He may be the most influential intellectual writer from the Korean Peninsula, but he is not Korean. He is obscure among domestic Pyongyang watchers but writes about North Korea for some of the world’s most influential media. The first group to feel the sting of Myers’ pen was America’s bookish establishment: He slammed the pretensions of the literary fiction community with “A Reader’s Manifesto” in 2002. He went on to redefine North Korea in his 2009 book “The Cleanest Race,” perhaps the most significant work on that country published since Kim Jong-il came to power. More recently, he has savaged a target closer to home: foodies. Myers was born in New Jersey in 1963. The first “grown-up book” he remembers reading was Orwell’s “1984”; he went on to read Soviet studies in Germany. With the fall of European communism leaving him nothing to research, he relocated, after a few years in the auto industry, to Korea with his Korean wife. Naturally, the critic has critics. Salon criticized “A Reader’s Manifesto” as “a cranky lament”; Slate called it “bombastic” and sniffed at Myers as “a previously unpublished critic.” Conversely, The Times and The Washington Post hailed the work; many readers were delighted that someone was finally slaughtering the sacred cow. No naysayers reared their heads over “The Cleanest Race,” albeit possibly because the English-speaking North Korea-watching community is a lot smaller than its literary community. Based on Myers’s decade studying Pyongyang propaganda, it garnered rave reviews in The Economist, The Washington Post and The New York Times. Polemicist Christopher Hitchens called the book “electrifying” and admitted Myers had identified what he himself had overlooked. The book overturned conventional wisdom: Myers portrays North Korea as neither a Stalinist nor even communist state; with its blend of arch-militarism and ultra-nationalism, it is essentially fascist. The book has been translated into French and Italian; Korean and Polish versions are in the works. A more recent target — the subject of a Myers article in The Atlantic that generated a heated response from New York’s Village Voice — was foodies. “You can’t get away from food talk,” he says. “Foodies tend to earn more, so they are worth more to advertisers, which is why dining sections of newspapers are expanding, while book pages are disappearing.” As a vegan himself, is Myers not trying to spoil others’ fun? No, he argues, the issue goes beyond the personal. Food obsession is incompatible with attempts to fight obesity, and with millions of Indians and Chinese acquiring middle-class dining aspirations, it threatens environmental sustainability and animal rights. Still, he does not plan a book on the issue, partly because he does not want to subject himself to a study of foodie writing. At present, he is translating a German novella into English, but his ever-critical eye remains firmly focused on the peninsula. This explains why, he continues, there were no mass protests against last year’s North Korean attacks. Moreover, the issue impacts beyond the strategic space: It also hinders South Korea’s globalization. That impression was reinforced on a trip he made to North Korea in June. Driving from Pyongyang to Wonsan on the country’s east coast, he was able to see rural villages up close. Yet despite their poverty, there was no sense of things falling apart. (Russia Today TV 27 July 2011) The Korean Peninsula is the site of one of world’s longest-running armed conflicts. While the war there ended in an armistice, both the North and the South have been preparing to renew hostilities at any moment for 58 years now. The animosity, which began as part of the Cold War, survived the collapse of the Soviet Union, and is not expected to end anytime soon. At the moment, relations between Seoul and Pyongyang are at a low point, with the current conservative government in the South taking a firm stance towards their northern neighbor. The latest issues to part the two parties are the sinking of the corvette Cheonan in March 2010 and the shelling of the Yeonpyeong Island by the North. There is cautious hope that at least some of the tension may be diffused soon after nuclear envoys from North and South Korea sat together for the first time in over two years on the sidelines of a security summit in Indonesia last week. However, no immediate breakthrough is expected from it. Experts say an end to the conflict between the two Koreas is long overdue. “Today is the 58th anniversary since of the armistice agreement. It’s interesting that South Korea was not a signatory of the agreement – those were North Korea, China and the United States. South Korea at the time simply refused to sign it. North Koreans have been suggesting a peace treaty to be signed – with the United States first of all – since 1975. It’s probably overdue that all parties sit down and sort out their differences,” historian Leonid Petrov, professor at the University of Sydney told RT. “The Republic of Korea is more than anyone interested in signing a peace treaty, because it’s certain to assure investors that a new war is not going to break out. I believe the Korean War must end after all and, in order to achieve this, the Cold War structures in the region in general have to be dismantled,” he added. Meanwhile, South Korea and the US are planning joint military drills in disputed seas next month, which North Korea always finds provocative. Hyun Lee from the Campaign to End the Korean War believes the US use military exercises in the region to disguise their real goal, which is to stop China’s expansion.